I’ve been a Twitter user since 2008, and have used Seesmic, Tweetdeck and Hootsuite – MarketMe Suite (MMS) has definitely become my favorite. Hopefully these videos will explain why! I am also an affiliate (only an affiliate to products I know, use and love). If you decide to purchase MarketMe Suite to help manage your Twitter presence you can use my affiliate link. Ann Evanston, MA, is an international speaker, coach and consultant teaching Empowerment (getting the life you desire), Leadership (knowing your personal power) and Ownership (taking responsibility for what you want). In October 2008 Ann created the Social Networking Coaching Club, a forum where you get personalized support to learn how to stand out among the chatter online and sell more without being a slimy pushy salesperson! 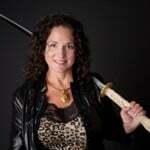 In Feb 2008 she was named one of the Top 6 Marketing Consultants on About.com. 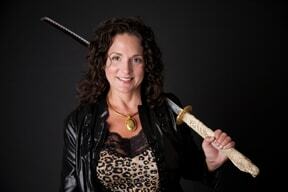 Ann offers all people who sign up for her newsletter a special Warrior-Preneur challenge to increase the number of people connected to there facebook business page and twitter accounts – sign up here http://warrior-preneur.com to get the details!